Want to Save up to 3% on your Fleet's Fuel Costs? Lower overall Fuel Consumption by an average of 2%, or $1500 annually on the average power unit. Operate more Efficiently in extreme Temperature Ranges (-25 to 125F), which reduces energy costs for block heaters and driver assistance in cold weather. How about if you had a money back guarantee on efficiency gains from CITGO? As a CITGO distributor, we are pleased to be able to offer your fleet the GreenWay program including free oil analysis on qualifying CITGO Heavy Duty Lubricants. 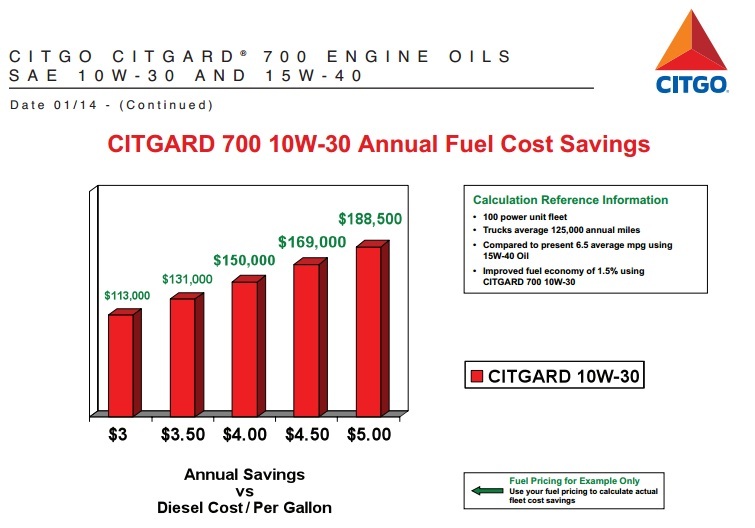 If you would like to see how much your company can save by switching to CITGO , fill out the contact form to the right with your fleet fueling information, and one of our lube specialists will be happy to calculate the savings, up front costs, and bottom line numbers specific to your company's fleet usage. With a money back guarantee - what have you got to lose? 555 Constitution Drive - Taunton, MA • (800) BUY-BURKE.